Greetings, beloved souls and friends of mine. As usual I am always at your disposal, just like in these days leading up to the portal of the 12-12 activation of yourselves. I welcome you all most cordially and I am very grateful for this moment. I would be most pleased to bring you to your enlightenment during this portal where the activation of many beings for their Ascension process will occur. Consider this portal as your first initiation towards Ascension after a long waiting period and after the many changes and preparations you have done. 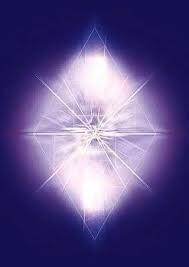 Consider this portal your first enlightenment leading up to the full awareness of your wisdom and your being. This portal is an activation as it were of this upliftment of your consciousness since everything will be brought gradually, but at the same time also rather intensely, to its rightful conclusion that you have, personally and as the human species, toiled for to reach throughout all those years of incarnations here on Earth. Popularly, during these last years of life, everything has led up to reach this reality because it is during these last years that there was a doubling of the intensity, of what normally can come to pass in one or more lives. This is done deliberately, because the most experienced and enlightened souls were expected to incarnate now to assist in all this because our beloved Mother Earth was already creating this for quite some time now. Everything has always been foreseen up until this point and that’s why preparations have been taken, which have lasted for several lives and which were prepared by all of us as well as by all of you, being the emissaries of the Light. At the dawn of this activation of the 12-12 you are all requested to approach each other with loving kindless and in doing so redeeming all fears and dark thought patterns which find their way out of this renewed and activated reality. That what no longer fits in the picture will be removed or will remove itself out of this activated reality and shall transfer itself to a matching vibration of the same kind. It is of utmost importance to remain centered and to allow that to emerge what has to happen; the emergences will be compelled to let issues disappear from the collective as well as from the personal form. Also the activations of the renewed self and dito wisdom will come to pass resulting in a rather abrupt whole new outlook for the world than you anticipated. Souls will all of a sudden be able to make the click in their heads leading to greater realizations and to expanded self-knowledge. The roadmap to the whole Ascension process will be upgraded by two notches during this portal and that’s the reason why it is more than likely that this portal could be very intense for many of you in their subconsciousness as well as in their conscious minds. Whatever the case may be, subconscious or conscious, experience this portal activation to the fullest and enjoy the self-knowledge it provides during the activation. You will be turned inside out and upside down till everything fits the picture again and reflects a reformed and renewed self. The best way to make total use of this is by grounding yourself firmly and by entering a meditative state, so that everything will be experienced in its most purified form. Mother Earth radiates from happiness now; She expects this portal to be Her first step to a full liberation and she grows to this event. The energies involved will be duely felt in Her crystal Heart and that’s the reason why grounding into Her central Heart is so important to feel, to share and to radiate these energies to the fullest. Feel free to share the intensity of the experience and your Love with all and with Her, doing so will bring you to a larger unified, collective form. This day will be a day of Love and will be the first real conscious step towards freedom.